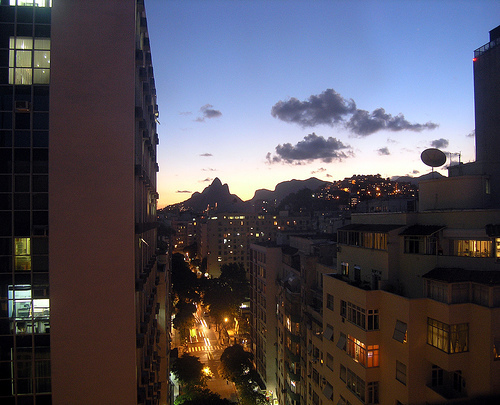 Rio de Janeiro was one of 24 cities awarded development grants through IBM's Smarter Cities Challenge. Photo via seier+seier. Consistent with its long-established reputation of exploring the forefronts of technological development, IBM, the technology firm, displayed interest in “smart city” technology with the grand gesture of creating The Smarter Cities Challenge. This competitive challenge awards 100 cities around the world $50 million in grants for technology and services. IBM is not alone. Cisco has its Smart+Connected Communities initiative. The Economist recently held its “Intelligent Infrastructure” conference. And the National Resources Defense Council runs a Smarter Cities project. With interest in “smart cities” growing—among business, governments, media and nonprofits—urban planners and technology corporations debate this type of approach to urban development. 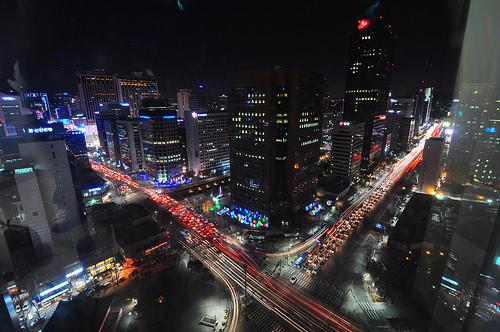 A view of hi-tech Seoul from Jongno Tower. Photo by Brian. “Smart city” has become a catchall term whose meaning is often used in the way that it sounds: energy-efficient buildings, transit, urban infrastructure and energy systems, including smart grids. In a broad sense, smart grids are a form of electricity network that utilizes digital technology. These new systems are purported to allow for greater efficiency in power distribution, monitoring and maintenance, both for consumers and energy providers. The applications of smart grid technology span from increasing energy efficiency in home energy consumption to improving traffic flow by using real-time information of street congestion and parking spot availability. Countries around the world are taking advantage of these trends. South Korea, for example, announced last week that it will invest $7.18 billion into a nationwide smart grid to be completed by 2030. The initiative is being conducted by the state-run Korea Electric Power Corp (KEPCO) and includes plans for the nation to source 11 percent of its energy from renewable resources. KEPCO cites improving energy efficiency and curbing carbon emissions as primary motives for the project. Other massive smart city initiatives include a 246-acre smart city for IT businesses in Kochi, India, and London’s current UK Power Networks’ Low Carbon London project, which includes an electricity grid with demand-side management resources, electric vehicles, heat pumps, micro-generation and smart meter installation. The project is set to continue through June 2014. 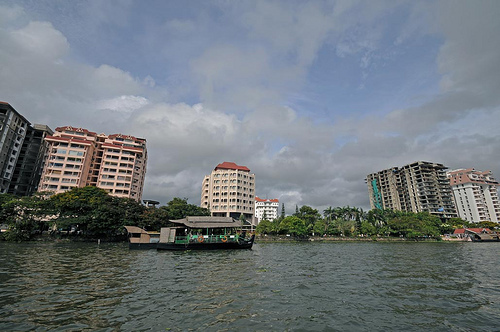 Kochi is slated to become one of the largest IT business parks in India. Photo by Koshy Koshy. Despite fervent development of smart city technologies and smart city initiatives, the discourse concerning these approaches to eco-friendly city developments has not been all positive. Many feel that approaching the greening of cities with an emphasis on things like the energy efficiency of buildings, lighting fixtures and new electricity grids is ignoring the bigger issues at hand. It doesn’t make sense to dispute the value of technology for energy-efficient housing and real-time traffic information versus planning decisions for compact, transit-friendly urban development. Wise energy consumption and management from smart cities are estimated to solve at least 30 percent of our current energy and environmental problems. At the same time, considering that cars sit parked for nearly 80 percent of the time, it seems intuitive that there are many societal and environmental benefits from developing livable cities without as many cars. As with most things, the smart cities trend will benefit from a more balanced approach. Is Your City a Smarter City? NRDC Wants to Know: How Smart is Your City?